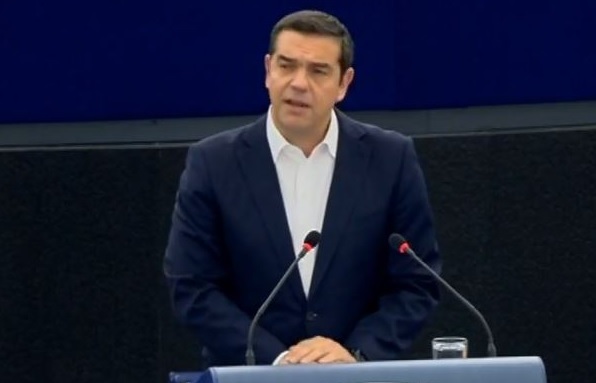 Greece's Prime Minister Alexis Tsipras has spoken in a speech at the European Parliament about the prospect of Western Balkan countries' membership in the European Union. During his speech, Tsipras said that Greece has unlocked the process of integration of Macedonia and Albania into the European Union and NATO after the new developments with these two countries. "We unblock the European integration of our neighbors, with the Prespa agreement and the ongoing dialogue with Albania," he said. The head of the Greek government said also that the name agreement with Macedonia is a model of how to resolve the disagreements in the Western Balkan.